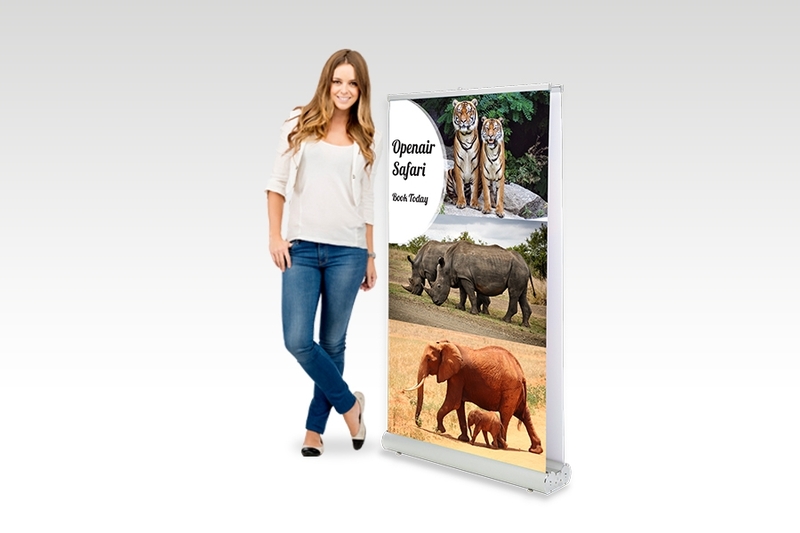 < 9 Units - 24 Hours (1 working day) after artwork proof sign off. 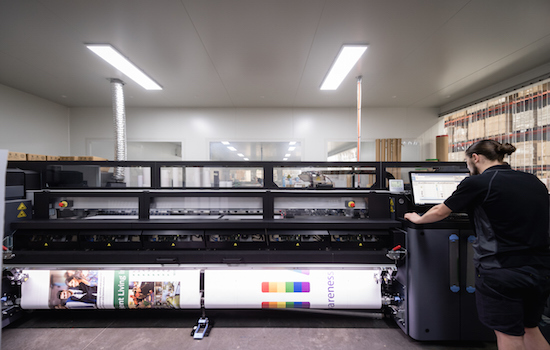 < 16 units - 48 Hours (2 working days) after artwork proof sign off. 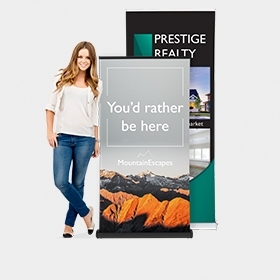 < 41 units - 3 working days after artwork proof sign off and receipt of deposit if over $3300 inc GST. 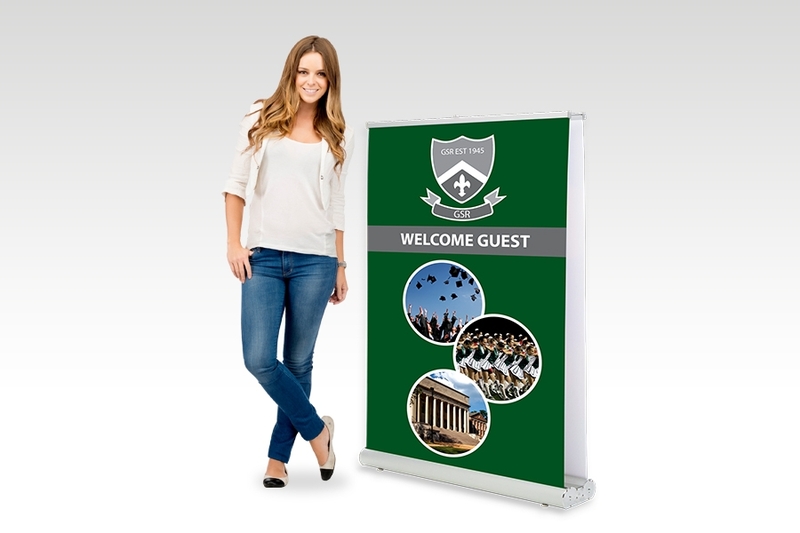 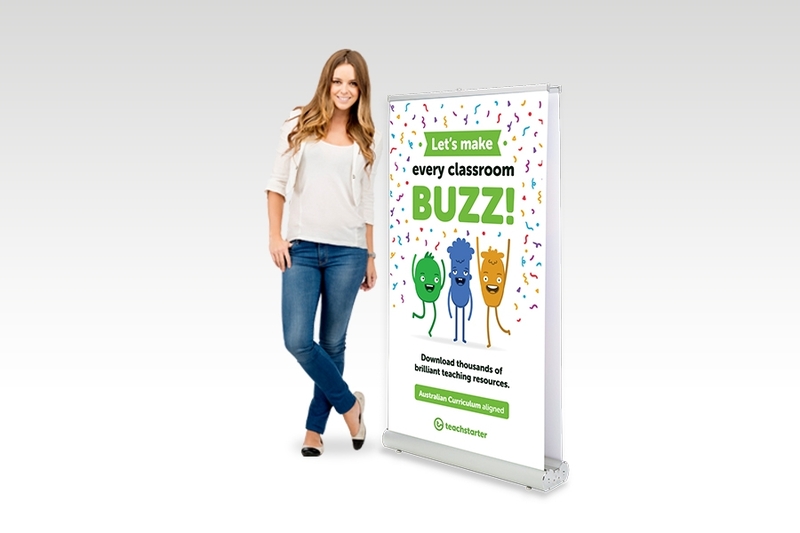 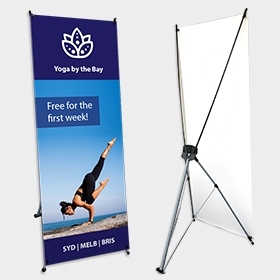 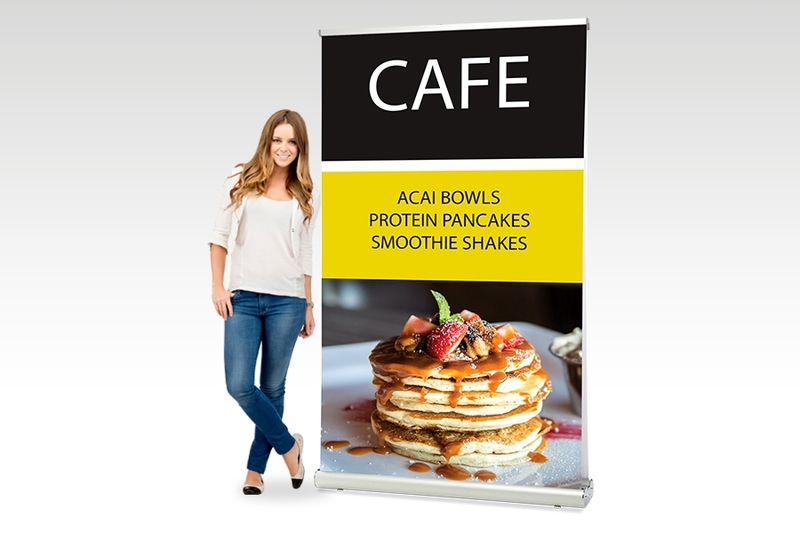 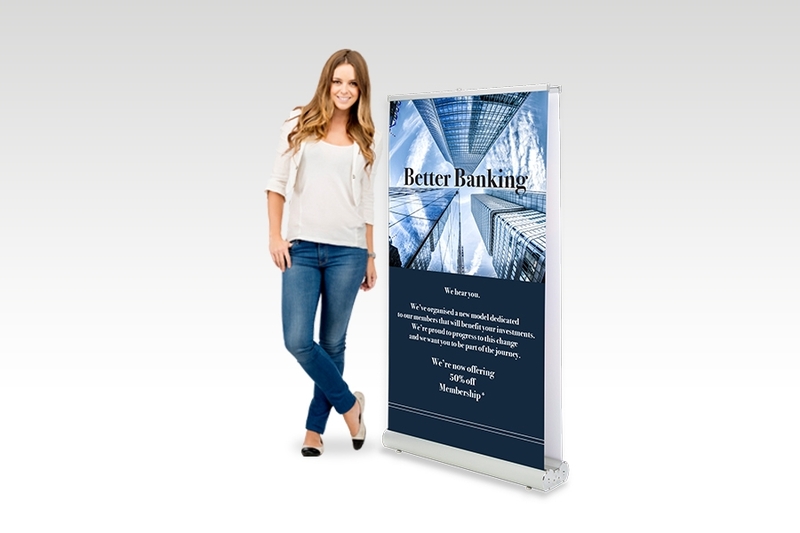 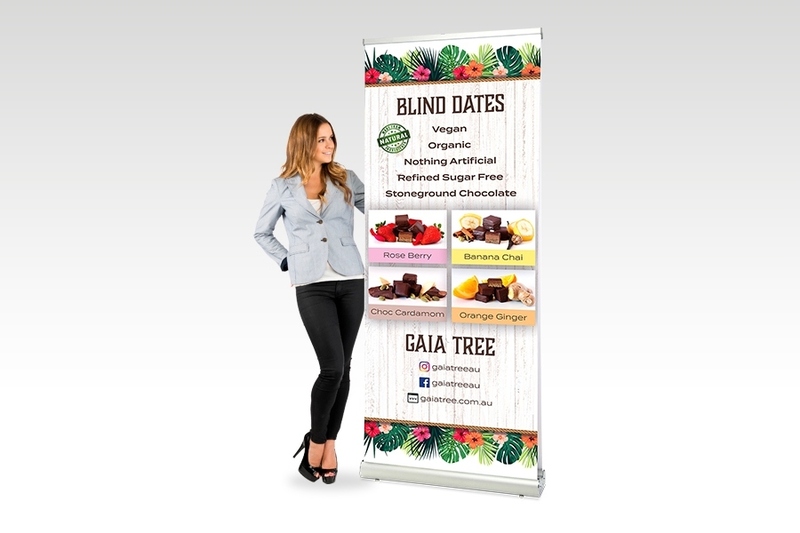 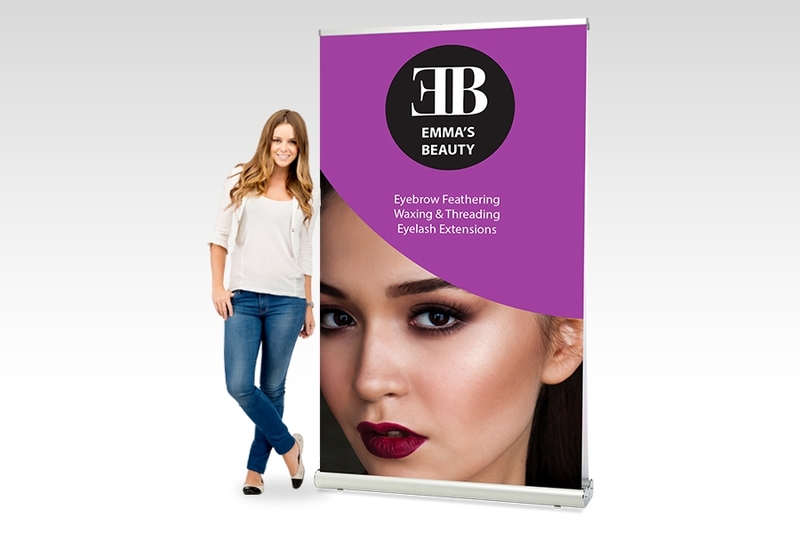 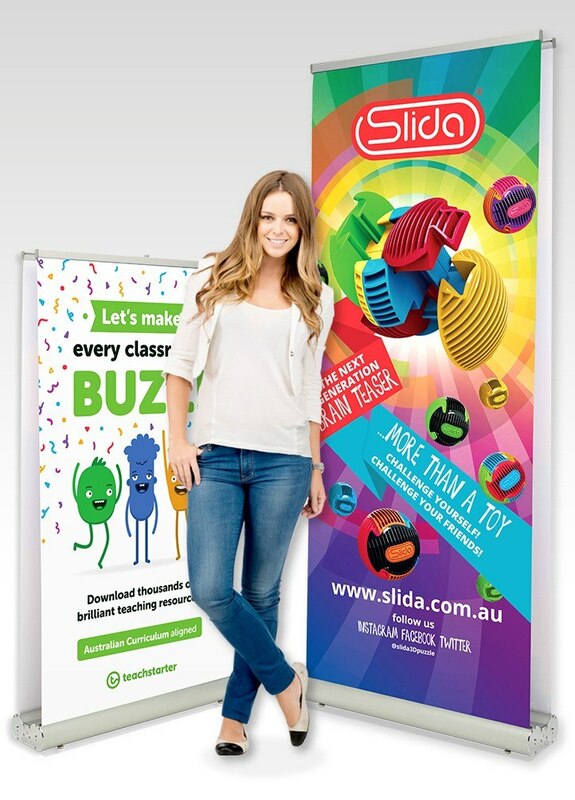 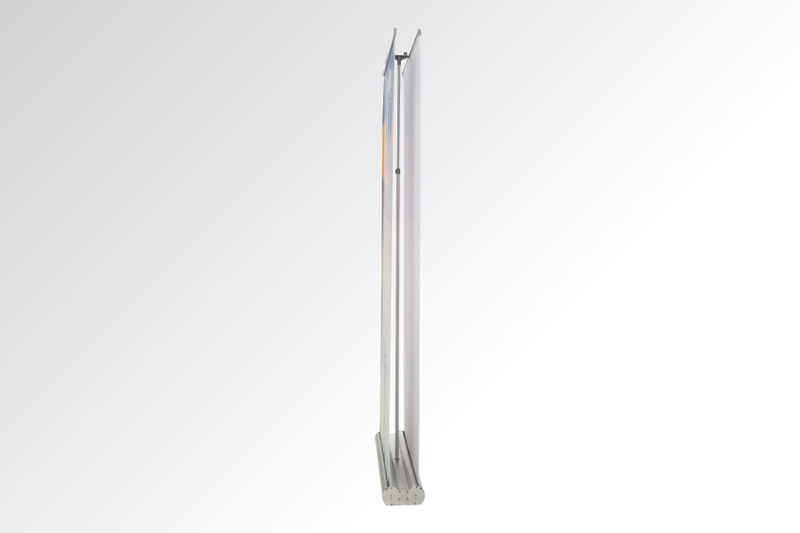 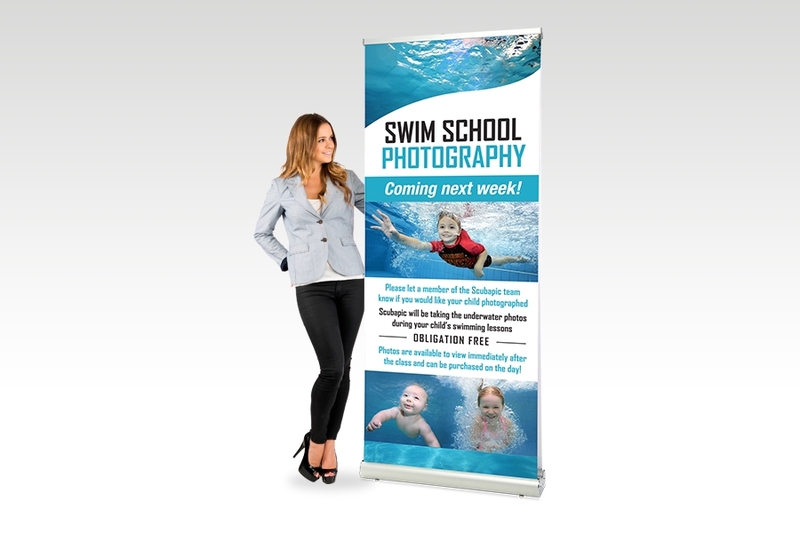 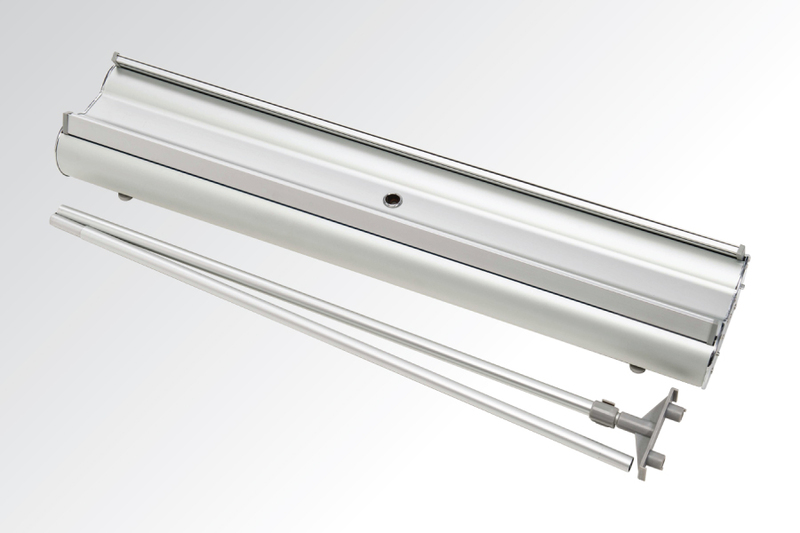 Our Double Sided Pull Up Banners are perfect for exhibitions, showrooms and offices. 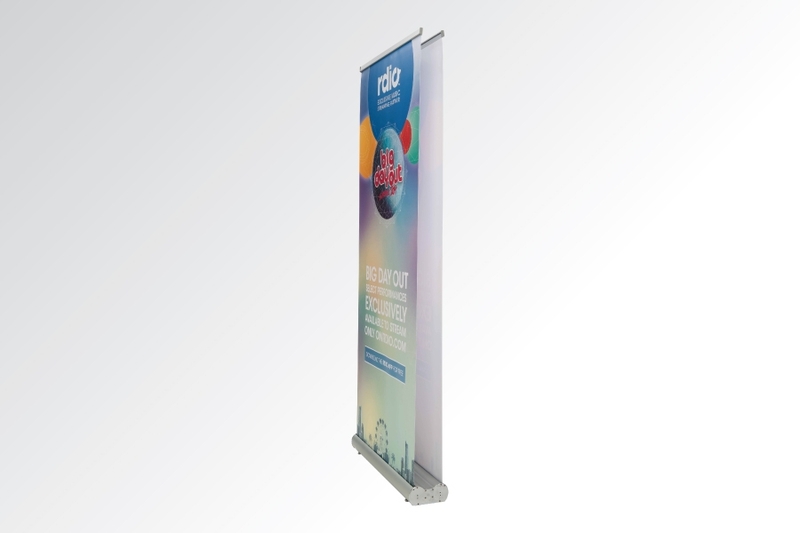 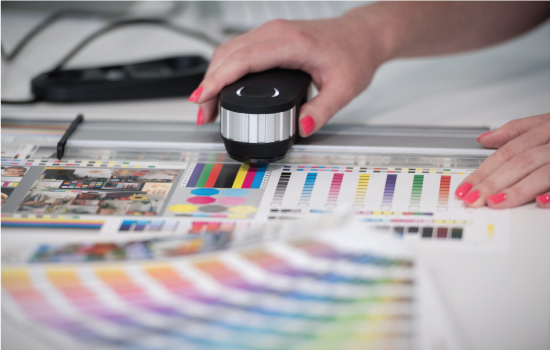 It comes with two banners which are printed at high resolution in full colour. 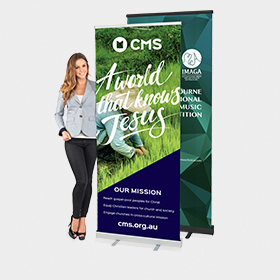 The banners are a made from a smooth & durable banner material which provides a high quality curl free finish. 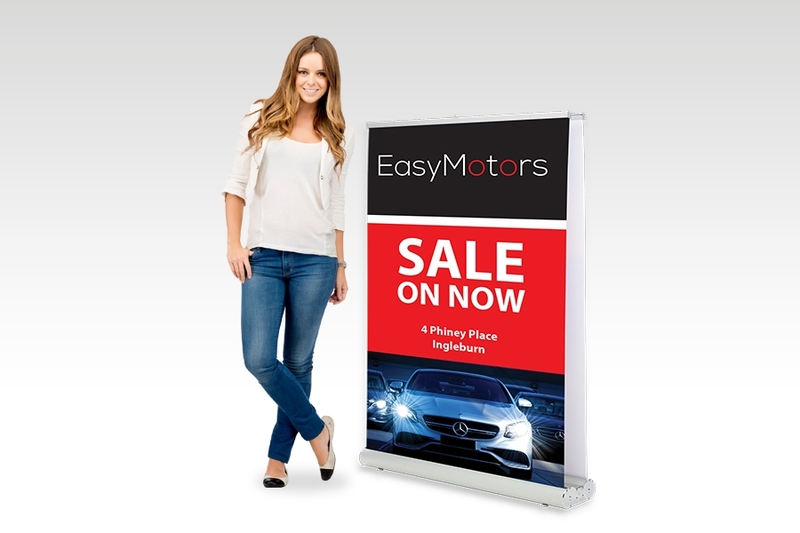 Calculate bulk discounts using our instant pricing calculator. 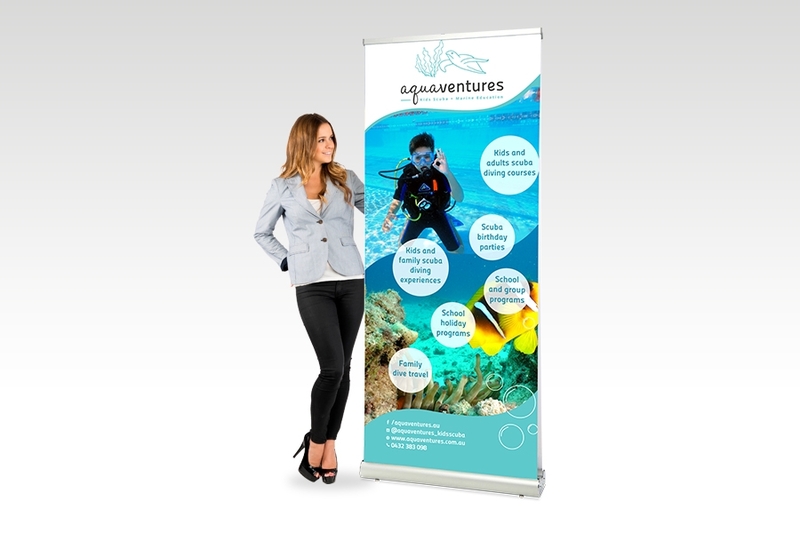 How long will it take to produce my double sided retractable banner order? 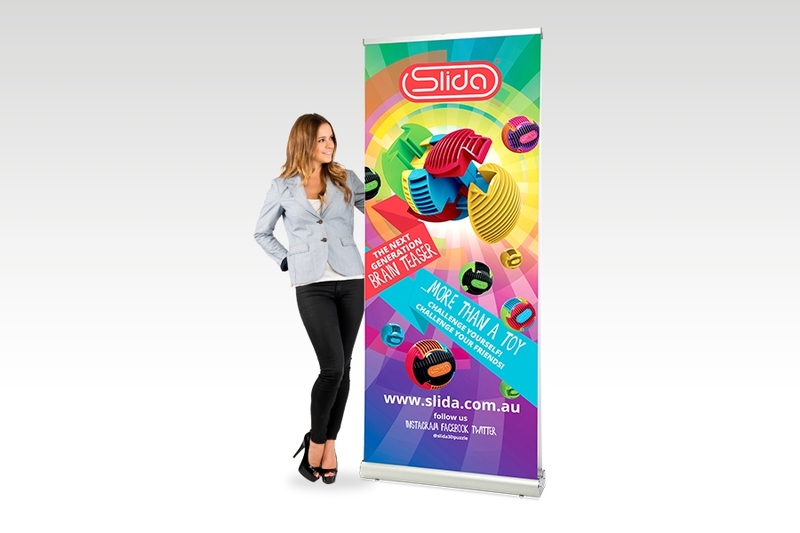 Yes you can have a different design on the banner on each side of the stand. 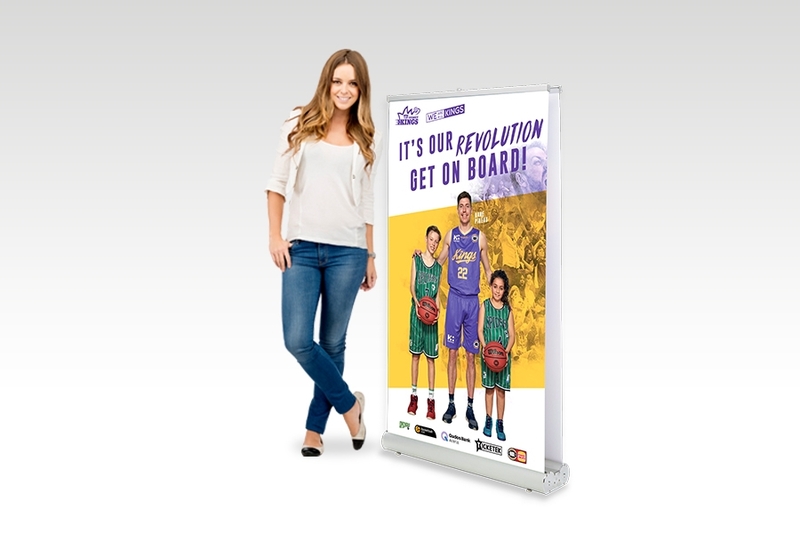 There is no extra charge for this.